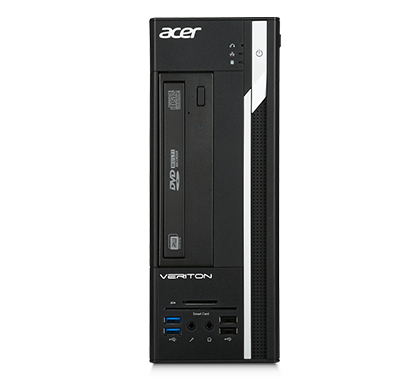 The Acer Veriton 2 series offers high value desktop computing in compact packages. With excellent multitasking performance from a variety of configurations that include Intel or AMD processors and Radeon or NVidia graphics, Veriton 2 systems can be tailored to any number of requirements. Veriton 2 systems not only have the powerful manageability and security features needed for enterprise deployment, theyâ€™re also designed to maximize energy efficiency. Performance is at the forefront of Veriton 2 design. Heavy demand CPU or GPU tasks run smoothly thanks to 4th generation IntelÂ® Coreâ„¢ CPUs or AMD Kabini APUs. Integrated graphics support for both processor families adds both capability and value, with options for NVIDIAÂ® GeForceÂ® or AMD Radeonâ„¢ discrete graphics solutions that provide even more powerful performance. Veriton 2 series desktops are designed with the enterprise in mind. Acer Office Manager provides remote management and control of multiple machine deployments. Vital security enhancements include optional Trusted Platform Management (TPM) 1.2, which provides hardware-based security, and Acer ProShield, which integrates passwords, fingerprints and facial recognition to securely manage system access and protect data. Veriton 2 series desktops are also compliant with EPEATÂ®1, Energy StarÂ® and WEEE/RoHS standards for environmental protection. They meet the criteria for EPEATÂ® Gold or Silver classification, the greenest level computers. They also meet European RoHS/WEEE EU regulation standards for waste recycling at the end of product life, standards which also ban the use of hazardous substances.